Chef Kinki said ‘there’s no such thing as a petite sumo but no matter what size you are, you can always be a big success’ and that ethos is no truer than when you visit Kinki Restaurant and Bar. 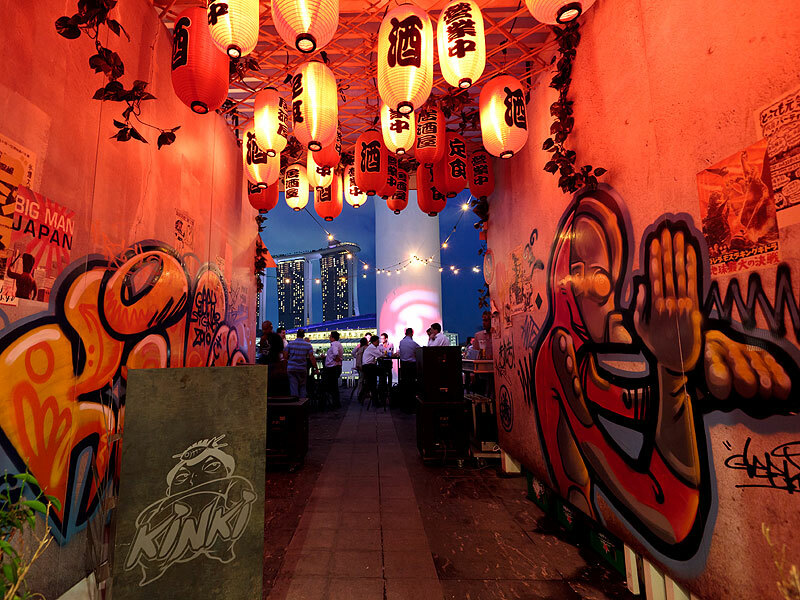 If you want noise and funk and a streetwise Japanese bar with an urban, industrial chic attitude, Kinki is the place. 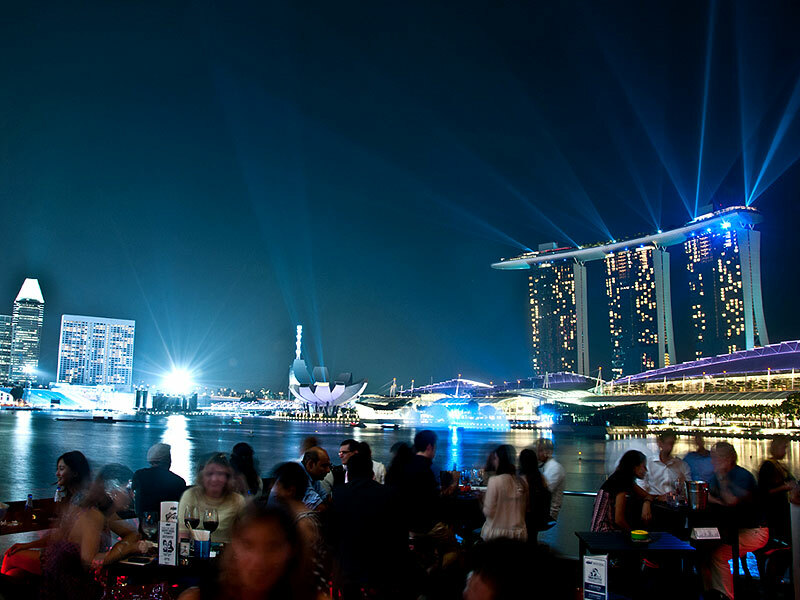 There’s no Zen here, just graffiti-covered walls, an incredible floor mural designed by world-renowned tattoo artist Chris Garver and a relaxed underground vibe bursting with great drinks and delicious food with views over Marina Bay. Chef Kinki’s bold and fresh Japanese menu is packed full of Japanese classics including sushi, sashimi, tempura, teriyaki grills and noodles and he has also created some interesting flavour combinations inspired from Asia, the far East and Europe and signature dishes include the Wagyu veggie sushi combining seared wagyu, onion, goma seed, chive and wagyu sauce, all beautifully prepared and presented. There’s also a separate rooftop menu full of bar snacks and drinks, Kinki-style. The wine list is very good, if not outstanding and all the classic bases are covered but it’s the cocktails that draw people back time after time. The staples are well represented but there is also a fantastic choice of original and signature cocktails with a distinct Japanese twist as well as a well-crafted sake menu for the purists. Kinki doesn’t conform to stereotype. It’s a bar created in the owner’s own vision and he’s been brave enough to change the game. Come and see for yourself.